My advice for you today, dear friends, is to go grab a pumpkin spice latte, get the kitties a niptini, and sit back and enjoy my interview with Inspector Dewey, the coolest feline investigator you will ever meet! 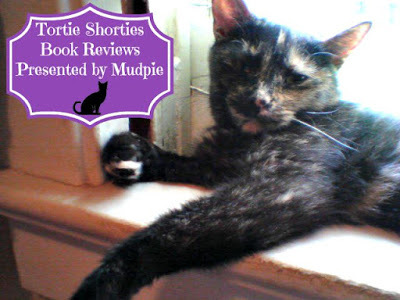 Following our little chat you'll find our Tortie Shorties review of his very first children's book and a pawsome giveaway! Truffles: Welcome, Inspector Dewey! Thank you so much for chatting with me today. Could you start by telling us a little about yourself and how you came to be the lead character in a children's book? Inspector Dewey: What a pleasure it is to finally meet you, Mudpie. And a personal interview even? Snickering Sunfish! What a treat! I don’t like talking about myself much but, if you insist . . .
As the Big Cat in the house, I have the important responsibility of securing everyone’s safety. I know—you’d think I’d be a massive hunk of a muscle man, right? It’s cleverness, all cleverness—oh, and inquisitiveness—that enables me to keep the calm. When the bad guy came to our block, it was only natural for me to spring into action. It’s what I do—quite well, if I do say so myself. I’m not going divulge any succulent secrets or anything, but there’s a reason I’m called Inspector Dewey! What's life like as a crime-solving kitty? Ummm, yes. Good question. It is difficult—very difficult. For example, I have to build strength and agility while maintaining my superior sleuthing physique. This requires hours and hours of training in the trenches—there’s Fuzzy Mouse Madness, Feline Glitter Ball Fetch, and the “Extreme” Pet Pentathlon, which includes a bear crawl, frog jumps, and donkey kicks, just to name a few. I’m exhausted just thinking about it! Do you want to see my abs? Introduce us to your housemates Lily and Thumper. Yo, Big T, you going to join us? . . . Thumper’s doing his own deal right now, but Lily would be delighted to say hello. She’s been purposefully practicing her parade wave for weeks in anticipation of the book launch. Oh my Opah! Lily—stop it. Stop dishing out the diva and get serious here! Hang on, I’m handing the mic to Lily. What? Oh, yes . . . hello, Mudpie, hello! My name is Lily and I love, love, love making new friends! Do you want to play with me? We could play Mom-Cat May I? Or Kitty Knot? Or even Kick the Crinkle Ball. We will have sooo much fun! Giggle. Wriggle. Squeal! Hey, I’m back. See the types of challenges I face, Mudpie? My family tests my patience at times—it’s a wonder I can secure our homestead at all! What can you tell us about your breed, the Norwegian Forest Cat? Anna calls us her “big, hairy bears,” but we’re known as the skogkatt in our native Norway. Although we’re a relatively new breed in the United States, we’re a very old breed in Norway, featured in folk tales and mythology for centuries. The term skogkatt literally means “forest cat.” It is believed that Viking explorers took us with them on their ships to keep them clear of critters and creepy-crawlies, much like we would do in the forest. So you can see why I would be such an exceptional inspector—I’m hardwired for sleuthing and slaying! Cat to cat, do you have any favorite treats, toys, or napping spots? Can you keep a secret? Pinky promise? I’m crazy about Q-tips! They’re amusing lightweight levers that soar through the sky. There’s power in those mighty little puff wands! I also am fond of a finely crafted boing-boing—or so Anna calls them. They’re a peculiar appliance of amusement—tightly bound plastic coils that bounce and, yes, boing! I particularly love these dainty delights after my morning meal and, ahem, after taking care of box business, if you know what I mean. As for treats, I’m not much of a treat man—it’s hard to keep to my lean, mean body and at-the-ready responsiveness if I’m constantly snacking on savories and sweets. Although I do enjoy the occasional snippet of freeze-dried salmon. A palate pleasure for sure! What do you hope children will learn from your wonderful book? There’s no doubt they will appreciate the severity of the situation we were in and, if I may be so bold, appreciate the bravery that went into the bust by a certain, well, dutiful Dewster—not that I would want to steal the spotlight or anything! My—our—book is a story of mystery and adventure, daring and determination, and the comfort of home and family. Mostly I hope that readers will just enjoy it. But it’s okay if they walk away inspired to be crime fighters, too! In fact, I created a top-secret Inspector Dewey Day Detective Kit for sharing my best spy stuff and tricks of the trade for budding super-sleuths. It can be downloaded for free through my website, InspectorDewey.com. Is Inspector Dewey a stand-alone story or do you have further adventures planned? Merciful minnow! Crime-stopping is a full-time job in our parts—I’m sure I’ll have another sizzler up my sleeve soon. Meantime, Lily picked up the pen and has been writing short little ditties about her delicious days at home. There’s no doubt that she is the master of merriment—Thumper and I don’t have a prayer for peace when she’s full-on frisky. I admit though, we do have a LOT of fun together! Lastly, what advice would you give to cats (and kids) who would like to be an Inspector just like you? I mentioned my downloadable Inspector Dewey Day Detective Kit—that’s the best starting point for the serious sleuth and serious fun-seeker. In fact, our Inspector Dewey Days at home are so much fun, that we’re taking them on the road this fall! Kids can easily create their own Inspector Dewey Day at home or in the classroom with the kit. There’s a mood-making music list, top-secret snack recipes, agent identification cards, and tons of games, teasers, and activities. My favorite is the Make Your Own Fishy Phrases activity—I mean, puckering pigfish! Who wouldn’t want to come up with their own fishy phrases to say?! My name is Dewey--Inspector Dewey. Marketing Officer, Strategy Expert, Innovator and Brand Builder, Kristen’s business career spans 20+ years serving the biggest brands in industry and the biggest hearts of start-ups and entrepreneurs. Kristen revels in bringing compelling products and services to life and helping leaders and individuals with big dreams realize their big goals. She holds a master of science in eCommerce from Carnegie Mellon University, an MBA from the University of Minnesota Carlson School of Management, and a BA from the University of St. Thomas. 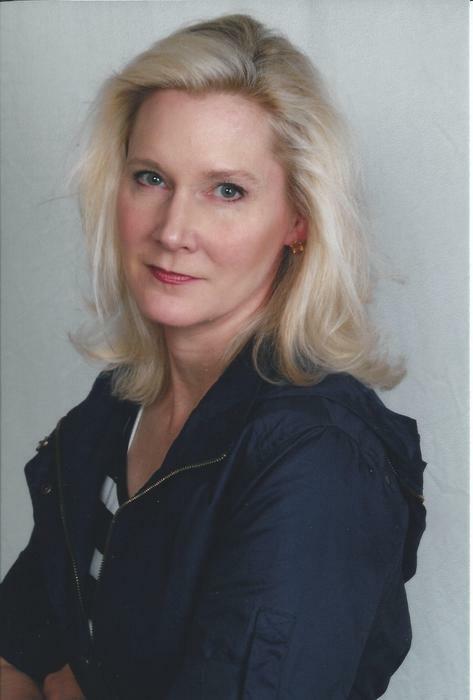 As the great transformer in her life, Kristen supports others’ education and literacy as an adjunct professor of business and strategy and, more recently, through her children’s book, Inspector Dewey (Available September 2015). Kristen’s site for her work “Inspector Dewey” will be premiering on May 31st, 2015. In addition, you can read more about Kristen’s work at threenorwegians.com, also live on May 31st. I can't remember the last time a children's book has captured my imagination the way Inspector Dewey has. He's a kitty with catitude who runs his home with an iron paw, saving the day when a bad guy in a pickup truck appears late one night. The illustrations in this book are absolutely incredible and instantly made me feel a part of the story. Dewey's cute and catchy phrases will be a delight for children and also a wonderful introduction to the delightful world of mystery and suspense. As a cat and book blogger, particularly mysteries, is it any wonder why receiving this in the mail today temporarily relieved the sadness? The holidays are coming soon and I can't think of a better gift to introduce a child to the magic of books. 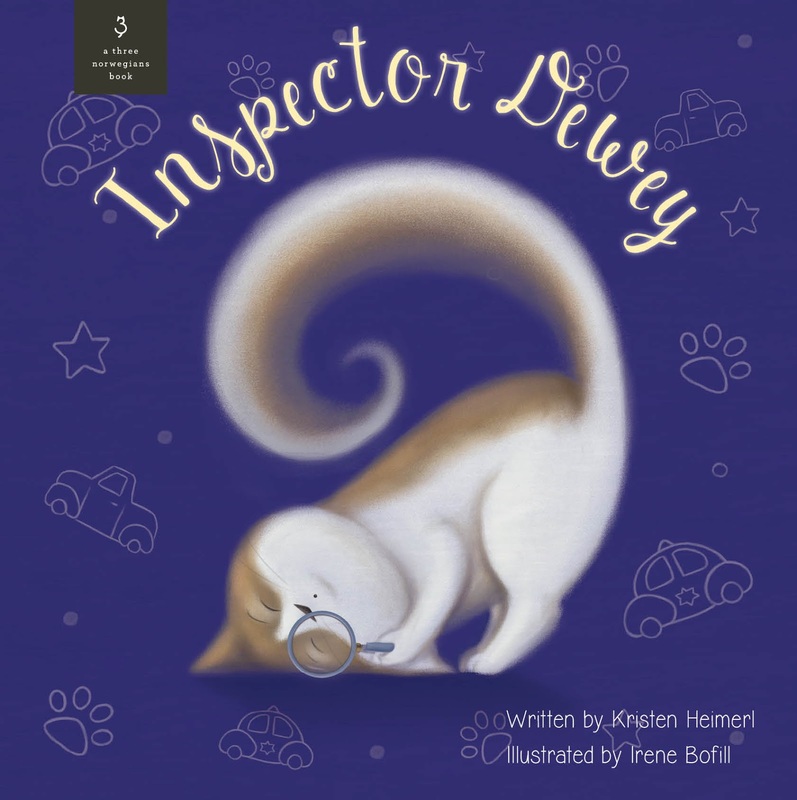 Cat-loving adults will fall in love with Inspector Dewey too!!! We loved the interview! Don't tell, but Prudie loves Q-tips, too! Mommy loved the excuse to enjoy a pumpkin spice latte. MOL! The interview was delightful! I do enjoy illustrations, and those in children's books are usually adorable and beautiful. I have a collection of children's books (at one time I had planned to be an elementary teacher but the job market was overflowing with teachers). Thank you for the chance to win a copy. 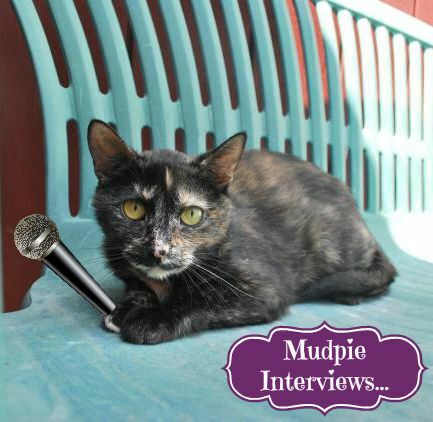 Gee, that was a really cool interview Magpie! Inspector Dewey sounds like a really interesting kitty. He even takes time out to play! Of course, Dewey and I had SO MUCH FUN connecting with Melissa and Mudpie! I think Dewey has a secret crush with the ever magnetic Mudpie -- but you didn't hear that from me. A gargantuan thank you from the Three Norwegians and me for taking the time to read our book and share our story. We love Melissa's Mochas, Mysteries & Meows! Excellent interview, Inspector Dewey sounds like one fabulous feline! A good book to read while curled up with a kitty and a pumpkin spice latte! I'm unfamiliar with the niptini - sounds decadent! I like the three Norwegians logo. Very clever. I'd like to win so I can donate to those needy families. Sounds like a great book. I love the cover and my kitties agree that q-tips are lots of fun. Oh meow Mudpie, gweat innewview. We kuld weally use dat VET visit fur me or sis Lexi. Sissy wuld purrobly get it but dat's okay cuz she needs it most. Anyways, gweat posty. Hope weez win. Looks great! Thanks for the tip, Mudpie! Kellie Needs a Forever Home!